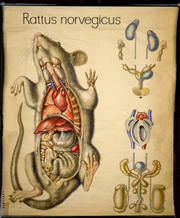 Web of Science: When were rats first known in Iceland? When were rats first known in Iceland? Archaeological excavations at Bessastaðir, the presidential residence outside Reykjavík, have unearthed rat bones in a layer of habitation believed to date from the 17th century, although it may be of 18th-century date. In a sense the rat in question is more likely to have lived in the 18th century, as it is a brown rat (Rattus norvegicus), which was almost unknown in Europe before that time. This is a single rat, in an unusual location, adjacent to a port where foreign ships called; hence the bones provide no grounds to infer that rats were a resident species in Iceland at that time. Nor do written sources provide any such evidence. In the latter half of the 17th century, Bishop Þórður Þorláksson of Skálholt wrote a description of Iceland in Latin, which was printed in 1666. The bishop clearly states that there are no rats in Iceland, but an abundance of mice. In the 18th century, on the other hand, Eggert Ólafsson wrote Travels in Iceland after surveying the island with Bjarni Pálsson in 1752-57. Eggert mentions rats at only one place in Iceland, on the Snæfellsnes peninsula in the west, in the region below the glacier; the rodents had recently arrived on a ship which had run aground off Rif. Eggert referred to the creatures by the Latin name of the black rat (Rattus rattus), but natural scientist Bjarni Sæmundsson (1867-1940) doubted the correctness of the identification, as the black rat had never been established in Iceland. In his book on Icelandic mammals published in 1932, Bjarni maintained that brown rats had first been seen in the 19th century, and that they had been gradually spreading around the country, especially in coastal areas. This is consistent with the impressions I have received from my discussions with people. My mother, for instance, was born in 1896 and raised from childhood at Gýgjarhóll in Biskupstungur, in a community which is among the farthest from the sea. She said that she had never seen a rat until she was in her thirties, when she was a housewife living in Efstidalur in Laugardalur. I doubt whether rats can have become widespread in rural Iceland until grain began to be transported into the countryside by road. There are those who are sceptical that Iceland can have been a ratless island in the Middle Ages. This is mainly because it has long been maintained that the epidemic disease generally known as the Black Death was transmitted by fleas, which were in turn carried by rats; epidemics which can scarcely have been any other disease certainly ravaged Iceland in the 15th century. The former of the two outbreaks is said to have affected the whole country in 1402-04, while the latter swept through every region but the West Fjords in 1494-95. But in truth the spread of the disease can be explained by other means: it can be carried by other species of fleas, which have no need of rat hosts, and it can also spread as a pneumonic variant of the disease, direct from human to human. The argument that the plagues of the Middle Ages were spread by rat-borne fleas is in essence simply that a virulent epidemic of bubonic plague which broke out in China and India in the 1890s had been found to spread in this manner. This discovery was the fruit of many years of research; prior to that time, no-one had ever suggested a link between the plague and rats or their fleas. The grounds for the theory that the Black Death was spread through Europe by rats and fleas are in fact very weak, and in Iceland this cannot have been the case. It is hard to imagine, for example, how rats could be supposed to cross torrential rivers and mountain ranges with the speed with which the disease is known to have spread. Further support for the view that rats were unknown in Iceland in the Middle Ages derives from the fact that no rat bones have been unearthed on archaeological sites of the period; and old Icelandic writings never mention rats in Iceland. The words which were later used in Iceland for the rat, rotta and valska, do not occur in old Icelandic writings. One of the Sagas of Kings, Knýtlinga saga, recounts events which took place east of Öresund, the strait that separates Denmark from Sweden: "there came in many valskar ("Walloon") mice. They were much larger than had been seen before." The clear implication is that rats are regarded as unfamiliar, even to the Danes who are the subjects of the story. Bjarni Sæmundsson: Spendýrin (Mammalia Islandiæ) . Reykjavík 1932. Gunnar Karlsson: "Plague without Rats: the case of fifteenth-century Iceland." Journal of Medieval History XXII (1996), 263-84. Norse and Later Settlement and Subsistence in the North Atlantic . Ed. by Christopher D. Morris and D. James Rackham. Glasgow 1992. Þórður Þorláksson: Ísland. Stutt landlýsing og söguyfirlit. [Dissertatio chorographico-historica de Islandia ]. Facsimile of the original edition, published in Wittenberg 1666, with Icelandic translation. Reykjavík 1982. Editor's addition: An interesting account of an outbreak of the Black Death is given in: Dava Sobel, 1999. Galileo's daughter: a historical memoir of science, faith, and love . New York : Walker & Co.
Gunnar Karlsson. „When were rats first known in Iceland?“. The Icelandic Web of Science 10.2.2006. http://why.is/svar.php?id=5634. (Skoðað 21.4.2019).